Greetings from the Snowy Vail Valley! We are happy to extend a 50% off discount from today through April 17th. Minimum night stay has been reduced to 3 nights for all applicable properties. Please note that these drastically discounted rates do not include daily housekeeping, though it is available at an additional fee. A mid week clean will be provided on stays of 6 nights or more. 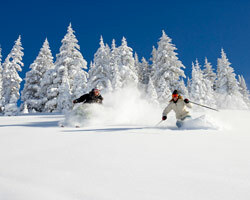 Vail Spa Condominiums- 40% off and 3 night minimum through the end of the Vail Ski Season. Daily housekeeping will be provided. Available on new reservations only and subject to availability. Note: Reservations must meet the minimum nights stay requirement to receive the percentage discount. Reservations encompassing more nights than the applicable offer may receive the percentage off of the total nights.